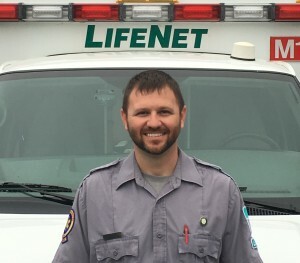 Nicholas Brown is a full time Paramedic and Field Training Officer at LifeNet Inc. in Hot Springs, Arkansas. After graduating from high school, he joined the United States Navy and served as a parachute rigger attached to an FA/18 squadron. Following his Navy service, Nick returned home and worked for his father, a general contractor, for several years. Nick then became interested in the medical field and began working part time in physical therapy. Soon after, he elected to continue his education and obtained his EMT, then eventually his Paramedic, license. He worked in the Emergency Department at a local hospital for several years before beginning his full-time career with LifeNet. Nick’s managers were pleased that his peers nominated him as our Star of Life. They appreciate Nick as an excellent problem-solver and noted that he digs deep to search for the root causes of issues. He finds pragmatic solutions that are successful and can be readily adopted by others. Nick consistently demonstrates a commitment to providing great service to both patients and other community members. Nick is married to Cassi, a registered nurse who shares his love for healthcare. Nick enjoys spending time with Cassi and their children, and they especially love outdoor recreation activities.